For me, the 4th of July about a celebration of the grand experiment designed by our founding fathers. The United States of America was a radical idea. And one that came with great uncertainty and cost. The signers of the Declaration of Independence and the US Constitution took great personal risk and sacrificed much. How did they do this? And why did they bother? Why not just copy what had been done before? What drove all of them was their unstoppable conviction of a core set of values.Life, liberty, and the pursuit of happiness. These values underpinned every decision they made about how to create a new country and how a better government could work. Their focus on these values allowed them to created alignment, rise above disagreement, make the tough decisions, and find confidence to make great sacrifices. What are your organization's core values? What is so important to your business that you would be willing to fire an employee, or say no to new client, or incur a great expenses? Core values don't come cheap. You need to pay for them if you're going to truly live them. However, done right, they can be extremely powerful. They create focus and resolve that allow you to take on the big challenges, implement the risky changes, and make the hard decisions. But you can't that if you don't know what your values are. 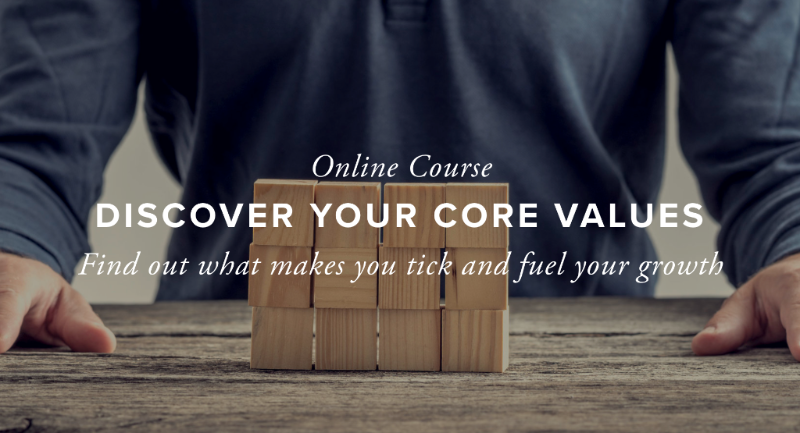 For the rest of this month I'm making my Discover Your Core Values online program totally FREE. The course walks you through my process for discovering the values deep inside you and your organization that drive your decision making and priorities. Over a dozen videos and a workbook to walk you through, step-by-step, the process of exploring your values and finding examples of where they have come up in your life and your business. I've used this with dozens of clients (both businesses and individuals) and it's always a eye-opening processes. In fact, I do go through the process every two to three years myself and learn something new each time. If you've never thought about your organization's core values, this is a great opportunity to learn about what makes you and your business tick and how you can make better decisions and create more alignment. As a little bonus, I'm happy to jump on a call for 30-min to help you at any point. Just email me and we'll schedule a time.